Below you will find some topics that will help you develop your fansite. How to get your fansite to rank in Google, Bing & Yahoo! Tutorials for Installing Scripts on your Free Fansite! Absolute Server Paths for common programs/languages. Trouble Receiving Emails from Free Fansite Hosting? GMail and other email providers like to put our “automated messages” in your junk mail folder (even ones we send manually can end up in the Spam Folder). Be sure to add “webmaster@freefansitehosting.com” to your contact list to be sure you receive emails from us. Trouble Connecting to the server (your site)? 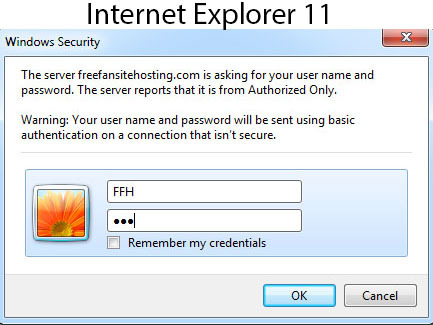 If you attempt to connect to an account on our server (cpanel or FTP) and use a wrong password 5 times in a row then your IP address will be banned from our server automatically. If you have accidentally banned yourself then you should send your IP address to us. To find out your IP address google “What is my IP address” and Google will tell you! We are in the process of adding more support pages. Until they are finished please contact us with any questions!